Rebekah’s life has just been torn upside down with her father’s death and now her future lies in the hands of her conniving brother. She should b married by now but her brother is clearly dragging his feet to wait for a bigger bride price and Rebekah is concerned she will spend the rest of her life an unmarried virgin. But when Rebekah figures that she is going is going to be stuck marrying a horrible man, she is given the opportunity to marry a cousin she has never met before. She has no idea the journey she’s about to go on. Isaac is the promised child of his father, Abraham. Years ago, his father almost sacrificed him at the request of God and God’s voice was the only thing that stopped him. That day changed his life and the life of his parents. Now Isaac is grown and is ready to find a beautiful girl of his father’s people and marry her. When he sees the woman that was chosen for him, he couldn’t be happier. Little does he know the challenges he will face. After they wed, Rebekah is scared that she won’t bear him a child and Isaac is trusting that God will follow through on his promises. When Rebekah does get pregnant she sees a vision that tells her that she is pregnant with twins and the younger with be stronger than the older and the older will obey the younger. This is where the hard journey begins as Isaac suffers doubt and Rebekah is determined to make the prophecy come true. Will Rebekah be able to convince Isaac that her vision was real and not her imagination or will Isaac completely reject the idea? Will Isaac and Rebekah’s pride and stubbornness tear them apart or will they be able to put aside their differences and love each other? Who will Rebekah and Isaac pick? Their favorite child or each other? Every now and again I want to read a book that isn’t predominately romance or even a romance at all. This was one of those times and this author fulfilled that desire. This book follows the lives of Isaac and Rebekah and their twins. It was a drama and a in-depth retelling of one of the most well-known biblical stories. This book is great and it gives some emotional depth to a story only telling the facts. It also helped to make sense of why they did what they did. This book can’t really be categorized as a romance, yet I think that it fits into the category in a more unconventional way. The beginning of the book is technically a romance because you got to see the love between Isaac and Rebekah’s love grow. But the middle and the end of the book is where the unconventional comes in. For the majority of the book you see Rebekah and Isaac’s pride get in the way of each other yet the ending makes the whole romance complete. The end of this book moved my heart and made me long for a love like that (minus all the years spent in conflict die to pride and stubbornness). The storyline of this book follows the story of the bible and, like always from this author, is historically and Biblically accurate, minus some modern lingo but that didn’t detract from the book at all. For some reason I loved this book and how it brought the story to life even though that story isn’t a pretty one. I usually only like stories that are generally more light-hearted but this book was different and it was so well written I couldn’t help but love it. I liked the first book in this series. I loved this book and I can’t wait to read the next one. If I had to guess this one would be about Jacob, Rebekah and Isaac’s youngest twin son, and the drama that will ensue when he married two sisters. Whoever this next book is about, I fully intend to read it and any other book I can get my hands on from this author. This book is a gem that comes highly recommended. lover of this author’s work. I love how well she tells these stories and keeps it accurate as well and I love that this is where her passion is. Her passion for the Bible and the people that make up it come through the pages of this book and all of her others as well. This book, series, and author come highly recommended. 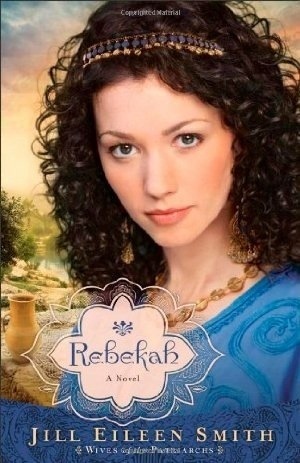 Overall, a great retelling of the story of Rebekah and Isaac. I can’t wait for the next. 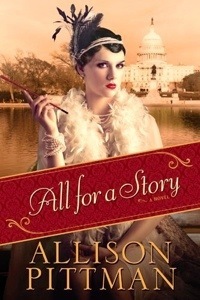 This book is perfect for Biblical fiction fans as well as drama or historical fiction fans. I think this book is perfect for adult and maybe really mature teenagers. I give this book a four out of five. Jevin Banks has made a living doing illusions and knows all the tricks. He now makes a living doing exposé films investigating scams and how they do them. His new assignment is a controversial neurological research program that tests whether or not people are connected in more ways than physically. Naturally, Jevin is skeptical and wants to prove this is just another fake, but he begins to wider if he’ll be able to. When Jevin and his partner, Charlene, find themselves entangled in a conspiracy involving murder, arson, and a web of deception and lies so tangled the people involved will do anything to keep their secrets hidden. Jevin and his team must now try and find answers for the questionable mind-to-mind communication program and go up against one of the world’s largest pharmaceutical companies. All while recovering from a horrifying family tragedy. The more they dig deeper searching for answers the more confused they become and they start to question whether they will be able to untangle the truth from the lies before they are able to hurt or kill someone else. With a team of a computer hacker, tech geek, and his former magic assistant, Jevin is determined to find the answers to questions he was forced to ask. Will Jevin and his team be able to find out the answers or will the secrets continue to be that? Will Jevin be able to move on from the horrifying details of his family tragedy? Will Jevin be able to prove mind-to-mind communication a fake or is it possible that we can communicate with just our minds? Will Jevin be able to stop these people before they fulfill their true plan or will he be to late figuring out this long complicated puzzle? I was able to read The Pawn by Steven James and became a fan, unfortunately I was unable to read the other books in the series but I hope to someday. I looked forward to reading this book and was really excited to read this book. This wasn’t what I expected, though. It had a science twist that was the main storyline. The author even threw in some quantum physics into the mix and solidified the science story. The storyline is actually pretty good, despite the fact that at certain parts where the science got pretty thick, I got a little lost. The idea that humans can communicate, help, or hurt others just by our thoughts is kind of scary and intriguing as well. Also, the fact that the main character is an illusionist brings another aspect to the storyline and makes it even more interesting. However, the storyline did lag a bit in parts and made it hard to continue reading. But when the story was action packed it was action packed and definitely enjoyable. This book was more of a thriller instead of a suspense, so it really didn’t have any mystery of who is doing the crimes, it’s more a why factor. Normally, I dislike that, but because it’s more of a thriller than a suspense and it was done so well, I actually really enjoyed the way this book was set up as far the action/ thriller part is concerned. There is one mystery, though. The mystery is who one man is, a man that is somehow associated to the pharmaceutical company. You do find out at the end who he is, but I can guarantee you probably won’t guess who he is correctly. That aspect completely made this thriller even better. The author added a little romance the story as well. But in typical male suspense/thriller fashion it really wasn’t one that makes your heart flutter and really wasn’t supposed to. I can’t really decide if I like this romance or feel like the author should’ve left it out completely. I think I’m leaning towards like it, though. There was something about this romance that was nice. I think it’s because it fit into the storyline perfectly. There wasn’t anything forced about it and it seemed like a natural part of the story. This was a huge boost to the storyline. This author captured me with The Pawn and because of that I jumped at the chance to read his book. Though, I don’t feel like this is a great example of what he can do, I feel like fans of this author will enjoy this book or at least it won’t ruin chances of them picking up another one of his books. 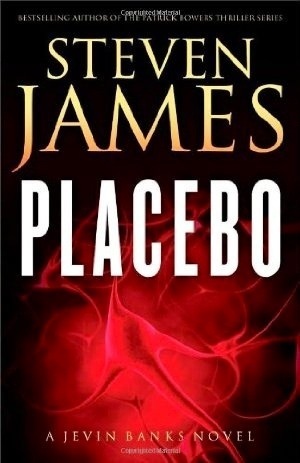 I do plan on reading the rest of this series and more from him, but I feel this book is more suited to people who like more unique thrillers. Overall, this book was a nice change from the norm and was definitely different, but it lagged in parts and wasn’t the best from this author. This book is great for lovers of science and/or thrillers. I give this book a three and a half out of five. Marceline “Marcy” Murphy has just come back to Boston after five years away in New York City. Coming back to the city she loves means she finally gets to see her best friend again, and her brother. Marcy has had a crush on Julie’s brother Sam for years now and despite his roguish tendencies, she can’t help but feel attracted to him. If only he wasn’t such a womanizer. After meeting the gorgeous Marcy, Patrick finds himself drawn to Marcy in ways like never before and his old lifestyle no longer has any appeal. He won the coin toss to try for her affection, but she can’t stand him and he strikes out, leaving Sam with an opportunity to try. When the two start to “date”, Patrick is determined to step back and let Sam have his chance and to make sure Marcy gets what she deserves, if only his heart would let him. When Marcy and Sam get closer, Patrick must try and just be friends with the woman he loves and can’t stand him. With his life changing because of the blond beauty he tries to come to grips with the fact that he might never have a shot with the one woman who was ever able to make him consider dropping everything and settling down in a house full of kids. Will Marcy marry Sam or will she see that his friend is what she really needs? Will Marcy compromise her strong faith for the boy she’s marries or will she realize that she doesn’t have to compromise on the biggest issue in her life? Will Patrick be able to win the love of Marcy by being her friend or will he lose her because of one mistake? Who will win Marcy in the end? Patrick or Sam? I’m a huge fan of Julie Lessman’s and it’s hard to believe that this is her seventh book and the official last in the O’Connor saga. I’ve been a fan since her first book and I know that I will be a fan at her very last. I also know that this book just made me more of a fan of hers. This book is completely different from any of her previous, more innocent, and absolutely perfect. Though this book isn’t pulse pounding like her others, it shows a more innocent side that is just as endearing. I loved how innocent it was and it was nice to see this different side of one of our favorite authors. Though I enjoy her more passionate works better, I felt that for this book the innocence of the romance enhanced the book and allowed me to really get to know the characters. The romance in this book isn’t your average love triangle. The author made this love triangle one where even those who know how it ends question whether or not it will end with the two we want together. I absolutely loved that little mystery and it kept me hooked until the very end. Most of us who have read or will read this book know who Marcy ends up with, but the fact that we got to see that journey and what happened to push them together made everything you know about them even better. The storyline is solid and has a lesson we all can learn, particularly those of us who are single. The lesson is that you don’t have to compromise on those matters that are important, in fact, when it comes to faith, you shouldn’t have to. I loved the little side romance that happened with Julie as well, it made the story that much better. I think, as far as story lines a go, this is by far my favorite out of the seven. It encouraged me in ways that a book never has before and I think it’ll inspire any who read it as well. Being a huge fan of Julie Lessman’s it’s a safe bet that I’m going to like pretty much anything she writes but this one touched a chord with me that none of her others did. Her books have inspired my dreams and my hopes. Her books have also shown me what marriage can and should be. I highly recommend any of her book, but read them in order or else you will get confused. I think this book could be read before her others or after, but it most certainly should be read. Overall, this book is different from this author’s prior but just as awesome. I highly recommend this for fans of the author or people who want a romance that is innocent and endearing. I don’t recommend this for younger readers, but maybe for someone in their late teens, and definitely for adults. I give this book a four out of five.